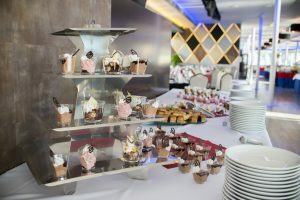 Gala Concert and optional Dinner Cruise in Budapest on 1 January 2019. 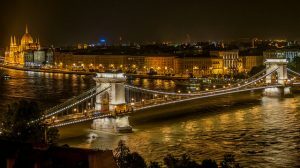 Make your New Year’s Day special with a Gala Concert performed by the Danube Symphony Orchestra in the magnificent Neo-Baroque building of the Danube Palace, followed by an optional beautiful River Danube Dinner Cruise in Budapest. You can check the seating categories on the following Danube Palace Seating Map. 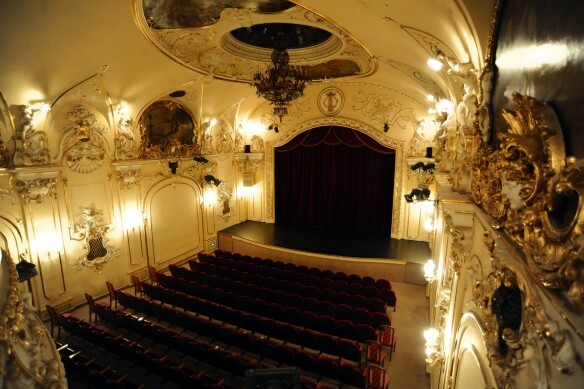 Johann Strauss jr.: Long live the Magyar! Op. 332. Begin 2019 with a concert of joyful classics in one of the most distinguished theaters of Budapest, the neo-Baroque concert hall of the Danube Palace. Performed by the Danube Symphony Orchestra, the programme will feature music favourites and classics by Mozart, Strauss, Lehar, Brahms accompanied by the unique sounds of the cimbalom (hammer dulcimel), a special Hungarian folk instrument. 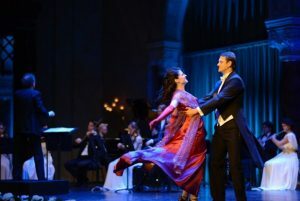 With a wide repertoire covering musical styles such as operetta, gipsy music, classical music, professional ballet dancers will be proving the fact that music and dance is inseparable. 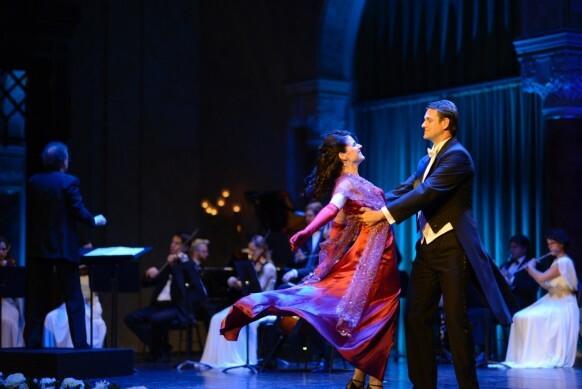 The program also includes operetta songs performed by soloists of the world-famous Budapest Operetta Theatre and music by an authentic gypsy band. The 90 minutes long concert consists of two 40-45 minute long parts with an intermission in between. where you can enjoy Budapest’s floodlit monuments and UNESCO World heritage sights. Your cruise ticket will also include a glass of Champagne and wine to toast to a magnificent and hopefully successful beginning to the New Year. Do not miss out on this fantastic experience, designed specifically for the New Year’s Day. No music lover should miss this unique and memorable concert when visiting Budapest. Budapest is breathtakingly beautiful at night. Explore Budapest with its full glory from the deck of a magnificent ship on the river Danube. 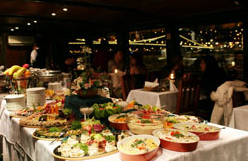 This spectacular night cruise includes a 1.5h cruise on the river Danube, live music, 2 drinks, and Buffet Dinner. Vegetarian Courses: Homemade Dumplings with Spinach and Mustard & Mushroom Sauce, Grilled Vegetables, etc.